The ‘Morocco’ screen design can create an exotically, luxurious decor touch to even the most boring of spaces. With a 60% block-out rating, this design can create a beautiful division between public visibility and privacy. Our most popular material is a reconstituted, compressed hardwood from the Weathertex brand, which is made from 97% timber and 3% natural wax. Inexpensive, yet extremely practical, compressed hardwood does not contain glue, resins or silica. It is suitable for either indoor or outdoor use and can be finished with a UV protection seal or left raw. It has a 7-year warranty to not rot, split or crack and comes in two finishes; a smooth finish, which has been sanded on both sides, or a woodsman finish, which has a rough, tree-like, natural grain. 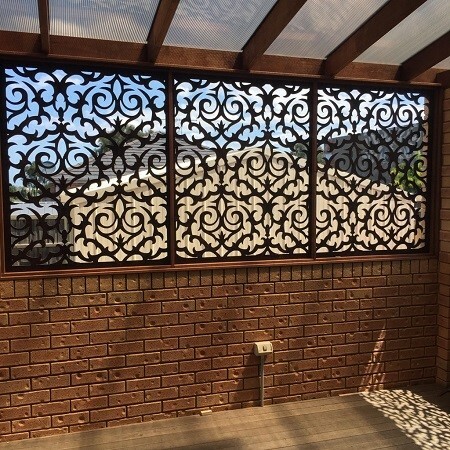 Decorative screens add privacy, shade, interest and beauty to the interior and exterior of buildings, and are becoming increasingly popular as a method of Home Improvement. Whether it be professional landscape, DIY house improvement, interior design or architectural and commercial building, QAQ Screens and panels provide visual drama and decorative style. They also provide a practical solution in partitioning open spaces, creating a simple sunshade, or providing much needed privacy; the creative possibilities are only limited by one’s imagination. 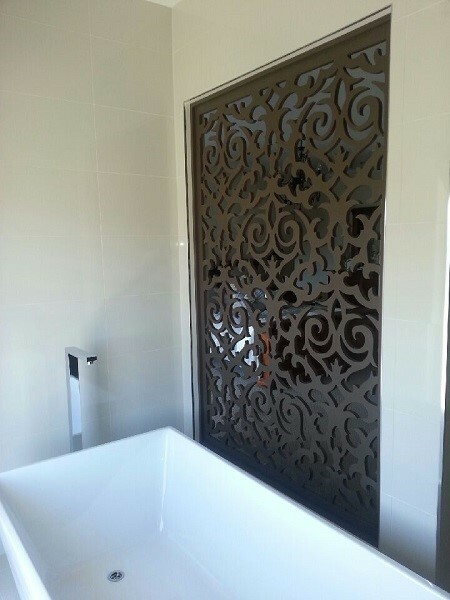 QAQ is the largest manufacturer of decorative screens and panels within Australia. Based in Melbourne, we are a wholesale manufacturer with a vast, national distribution network. We distribute to both large chain and boutique businesses, and cater to the needs of their markets with either standard or exclusive designs as required; "A Screen for every space and every place". Mention IndustrySearch so QAQ Decorative & Privacy, Screens & Panels can best assist you! Get a callback from an expert at QAQ Decorative & Privacy, Screens & Panels to help answer your questions.